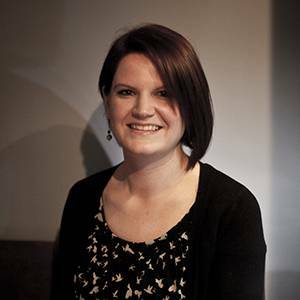 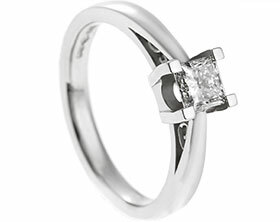 Lionel and Heather came into Cambridge to design Heather an engagement ring.Heather worked with horses so needed a simple design in a hard wearing metal.Between us we designed a simple yet stunning handmade unique platinum engagement ring with a 5.5mm (0.7ct) brilliant cut GVS1 diamond. 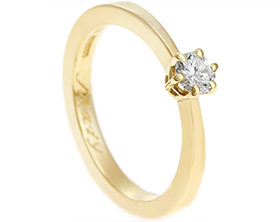 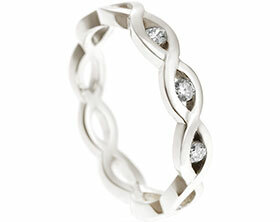 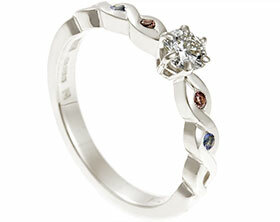 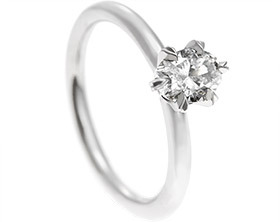 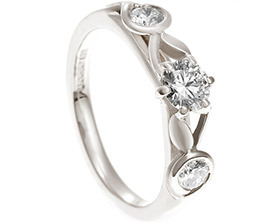 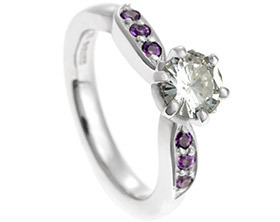 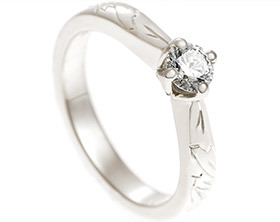 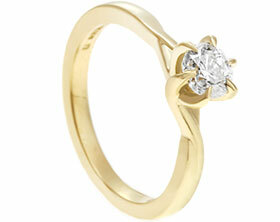 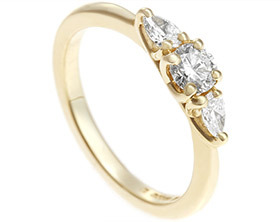 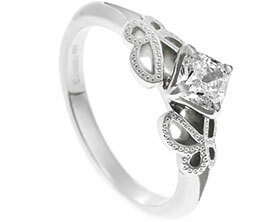 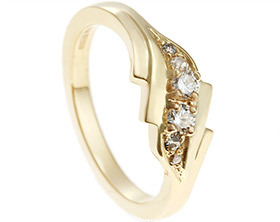 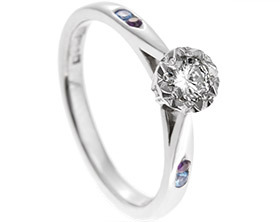 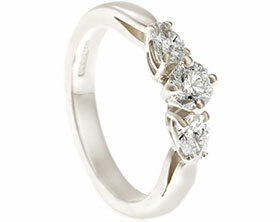 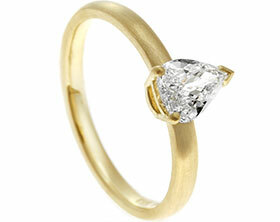 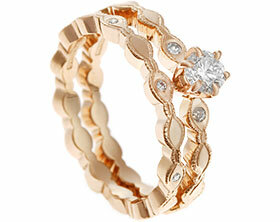 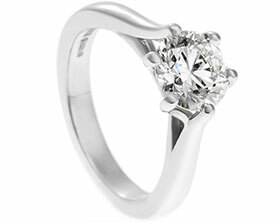 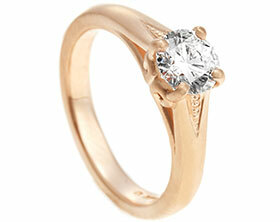 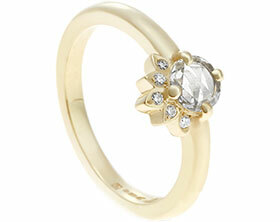 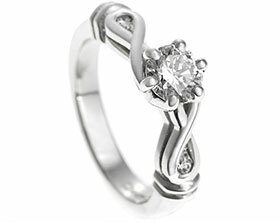 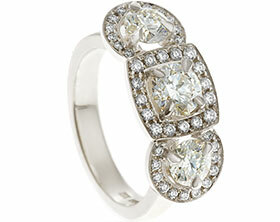 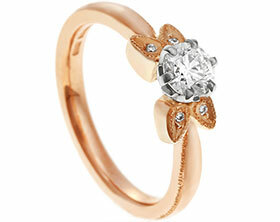 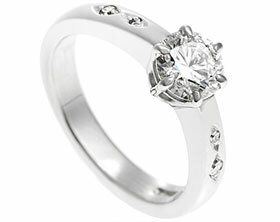 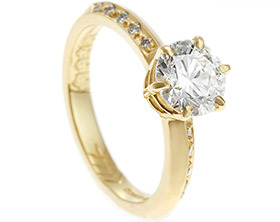 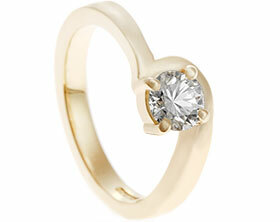 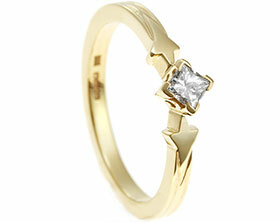 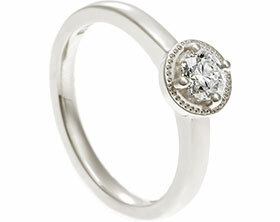 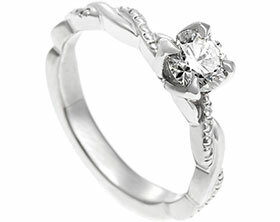 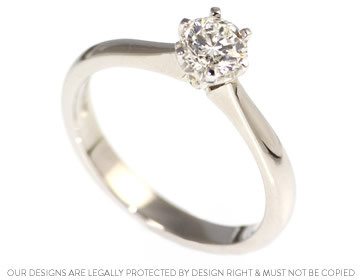 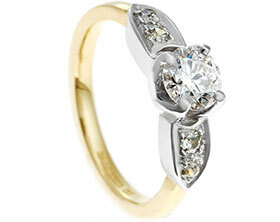 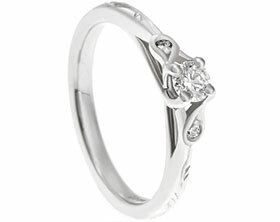 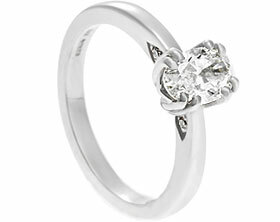 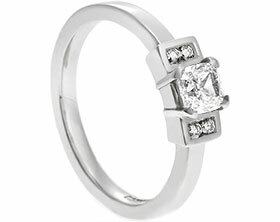 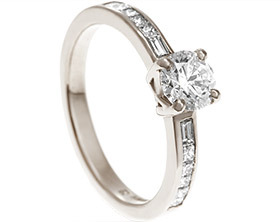 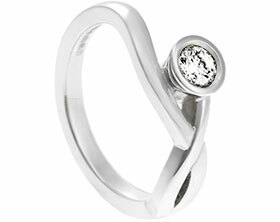 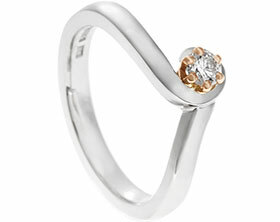 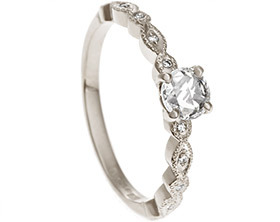 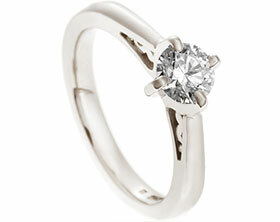 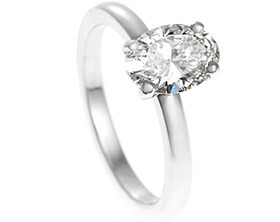 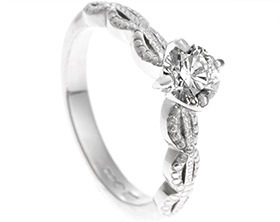 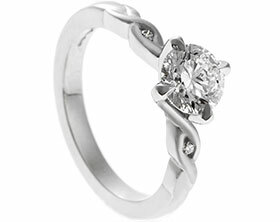 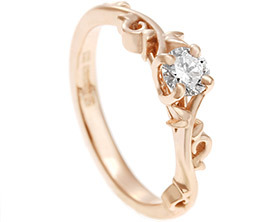 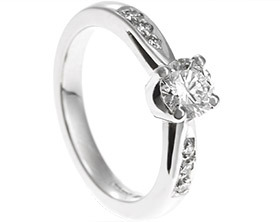 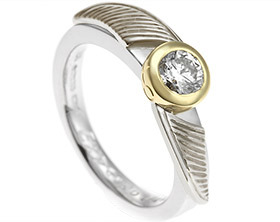 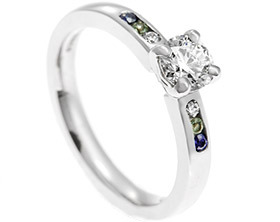 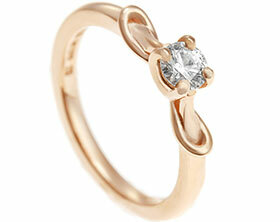 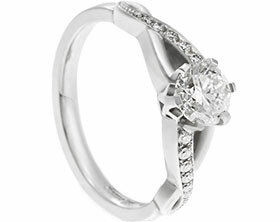 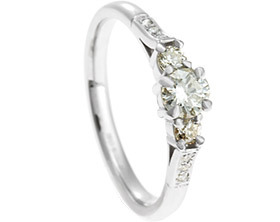 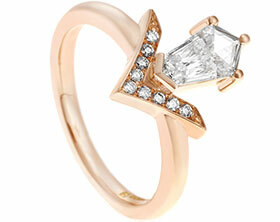 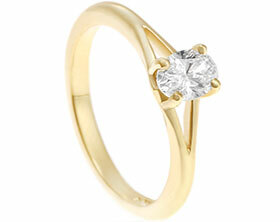 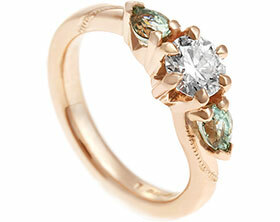 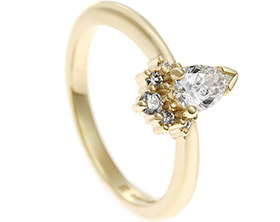 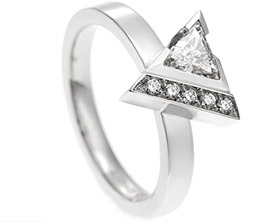 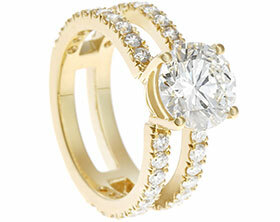 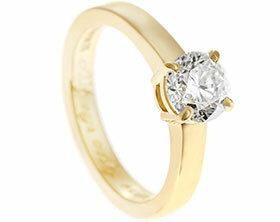 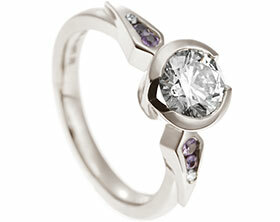 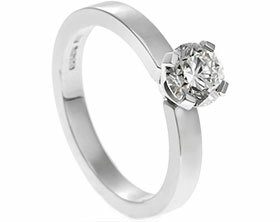 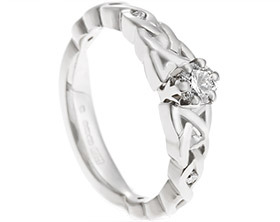 The diamond is held in an elegant 6 claw setting with a leaf inspired side view. 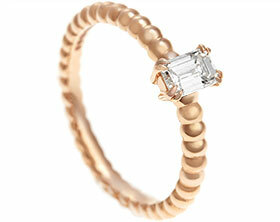 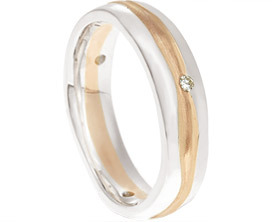 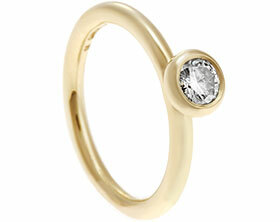 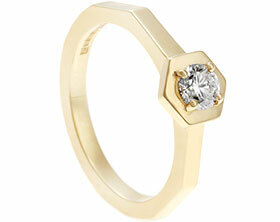 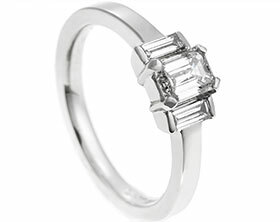 The band of the ring is 3mm wide with a classic D-shape profile and tapers gently towards the centre piece. 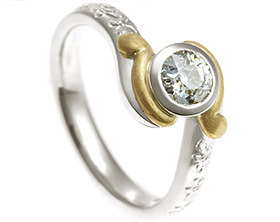 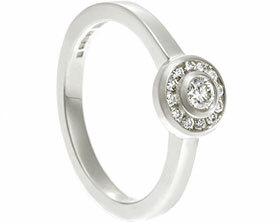 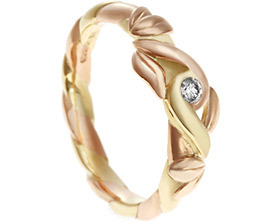 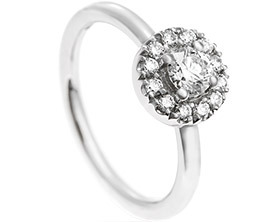 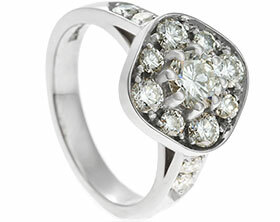 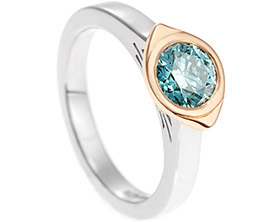 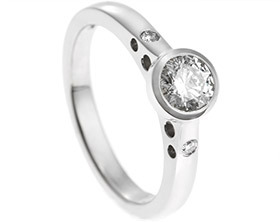 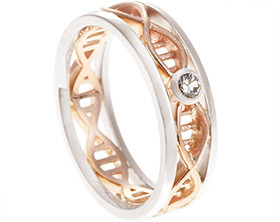 The impact of this ring is topped off with a beautifully polished finish.